East Hanover, N.J. – February 16, 2017 – Parents today are looking for new ways to engage and bond with their kids after school, encouraging them to play and be inspired – even at snack time. Today, Mondelēz International, Inc., unveiled a new treat which joins TEDDY Grahams as part of the new TEDDY brand portfolio. Already known and loved by parents in more than 40 countries around the world by other names such as Barni, meet TEDDY Soft Bakes – the treat that’s rooted in the idea that food can help inspire moments of playful discovery, and snack time can provide an opportunity for parents to connect and share with their kids. 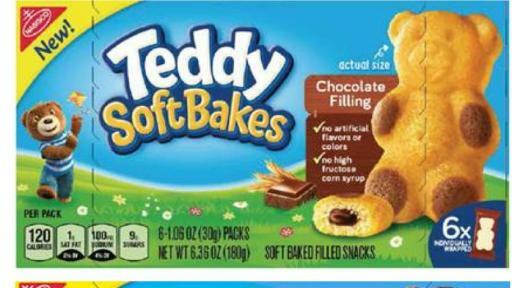 TEDDY Soft Bakes are a fluffy, soft-baked filled snack created in the shape of a bear. 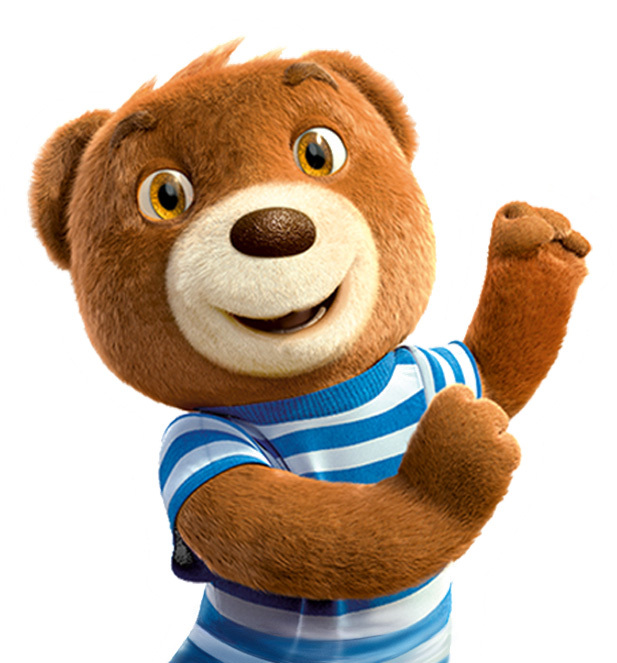 Kids will love discovering the hidden filling inside TEDDY Soft Bakes’ playful bear shape, and parents can feel confident about saying “yes” to this treat because it’s made with familiar quality ingredients such as milk, eggs, flour and chocolate. 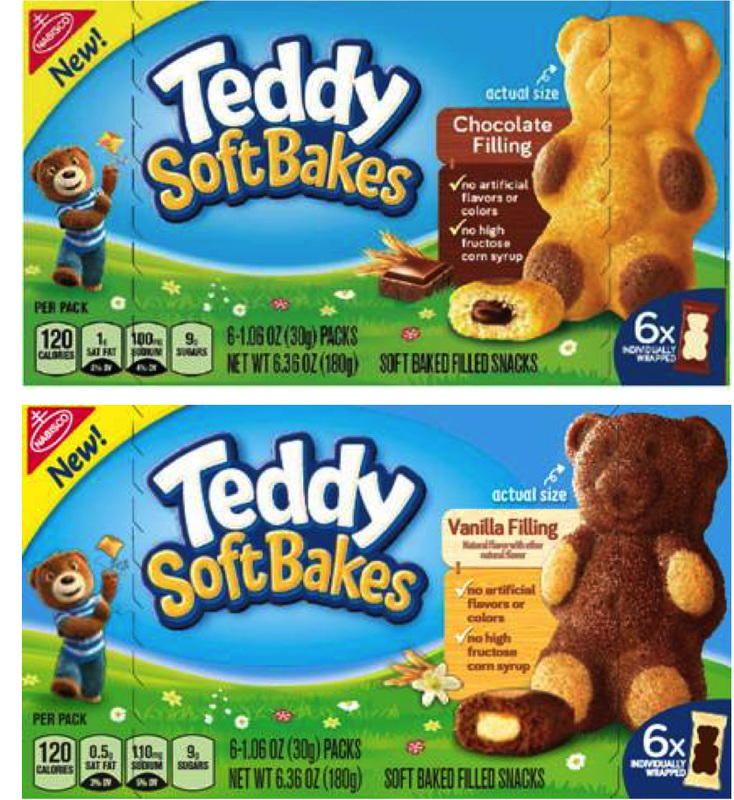 TEDDY Soft Bakes contain no high fructose corn syrup or artificial flavors or colors and are available in two flavors: Chocolate Filling and Vanilla-flavored Filling. Individually-portioned and perfect for the after-school snacking occasion, TEDDY Soft Bakes are more than a treat – when kids uncover the delicious hidden filling within, TEDDY Soft Bakes can help provide moments of surprise and discovery. TEDDY Soft Bakes are currently on shelves in local grocery or superstores nationwide in the cookie and cracker aisle next to TEDDY Grahams. Both flavors of TEDDY Soft Bakes are available for a suggested retail price of $3.29 and are individually wrapped portions in a six-pack box. In addition, the Chocolate Filling variety is also available in a 12-pack box for a suggested retail price of $6.49. TEDDY Soft Bakes is also one of the first Mondelēz International products to incorporate the Grocery Manufacturers Association’s SmartLabel™ QR code on pack. Using a scanning app, consumers can quickly scan the QR code on package to unlock the product information they want to know – including ingredients and nutritionals. 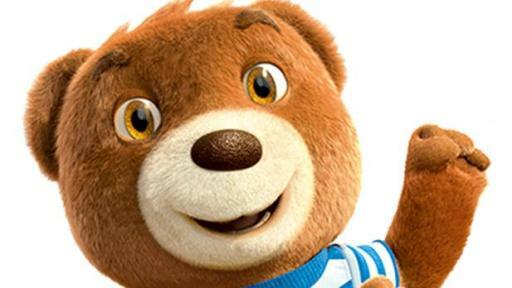 For more information on TEDDY Soft Bakes, visit www.DiscoverTEDDY.com and follow TEDDY on Facebook, Twitter, Pinterest, YouTube and Instagram using the hashtag #DiscoverTEDDY.